When the time has come to buy a new laptop computer, there are some things that you should consider before making that purchase. These considerations are different for every person because your specific needs will of course be different from other looking to make the same computer. Here are some things you should consider before buying that new laptop computer. 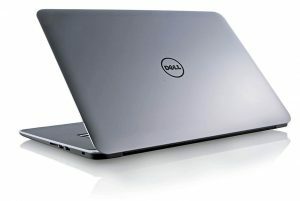 If you need a new laptop computer that you will be using while on the go, you want a light weight and notebook sized system. The slimmer and lighter the laptop, the easier it will be to travel with. The longer that you will be staring that the screen of your new laptop, the more comfortable you need the screen quality. Touch screens tend to be more glossy than a traditional laptop screen, and these glossy style screens tend to have more reflections that can be bothersome to many users. Consider a laptop with a high resolution to help lessen the strain on your eyes. Depending on your individual needs, make certain that the processor in your laptop can easily handle the tasks you will be performing on a regular basis. For multitasking or gaming, you need a system that can process all that data quickly. Do not purchase an entry level laptop when you are going to be using the laptop for video conference calls and frequent uploads/downloads via the Cloud. To get the absolute most out of your laptop, it must have at least 4GB of RAM installed. The more RAM the better, as it will allow you to run several applications at the same time without having any interruption in your service. Many laptop computers will provide the recommended battery life of their unit based on basic usage. If you plan on working the laptop hard, it is recommended you choose a system with much longer battery life.